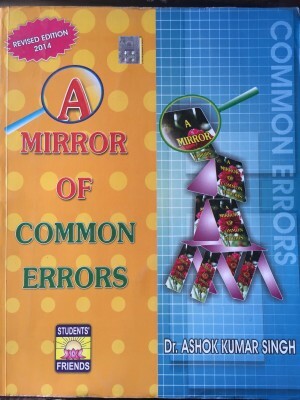 A Mirror of Common errors by A. K. Singh is considered as one of the best book for the preparation of exams in English and English Grammar. As the name suggests it will point out the most common mistakes that are done by students during the exam or while preparing for it for English Section. Most Important for SSC Exams and IBPS Exams and all other exams have consider English as one of the major part of the paper.Download the free PDF and start preparing. Important for SSC CGL, SBI PO/Clerk, IBPS PO/Clerk, State Bank Exams, SIDBI, CPO, CHSL...etc.